Philosophy is a subject that often scares people. Those who philosophize are thought of as somewhat archaic, imagined as men with beards and dirty clothes, walking around or sitting, going about their daily tasks and thinking. Always thinking. Yet few realize how much philosophy there is in the world, and how it has influenced us. One of the most influential, even today, as its influences in Christianity show us, was Stoicism. 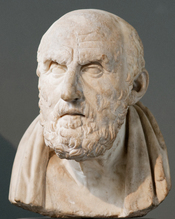 Founded by Zeno of Citium, and later developed into a systematic body of doctrine, complete with a system of logic, epistemology, and cosmology, the Stoics were convinced that the universe lends itself to rational thought and explanation, and is a single organized structure in all its entirety. The core of Stoicism seems to lie in the Logos, which is what embodies the universe to make it a single, almost living, thing. Stoicism in itself actually seems to be a very religious philosophy, though not in the contemporary sense. WriteWork contributors. "Stoicism" WriteWork.com. WriteWork.com, 07 November, 2001. Web. 23 Apr. 2019. The Philosophical position of Atticus Finch in "To Kill a Mockingbird" by Harper Lee.